Its finally happening guys, Maxwell is coming, and about damn time too. Everything has fallen into place and the launches of the Geforce GTX 980 and Geforce GTX 970 are expected by the end of this event. Leaked documents by Videocardz state that the NDA lift happens on the 19th which is about the same time the Game 24 event (scheduled on the 18th of September) comes to an end. 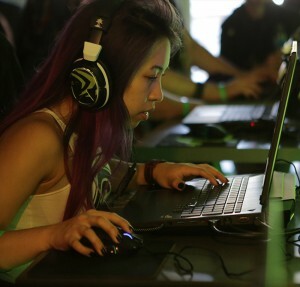 “NVIDIA and the PC Gaming industry are kicking off an unprecedented 24-hour event. The goal of this event is simple – to celebrate this thing we all love called PC gaming. It will be packed with exclusive content, developer interviews, game reveals, give-aways, and more. We’ll travel the globe to physical events in Los Angeles, Shanghai, Stockholm, London, and other locations.—as well as to virtual stages around the world—to bring you 24 hours of PC gaming entertainment. Tune in to the livestream, join our physical events, and make sure you’re ready to game.” The event will take place primarily in Los Angeles, London and Shanghai with mirror events happening in Chicago, Indianapolis, Mission Viejo and Stockholm. Needless to say we are looking at a huge global launch from Green with Game 24. So that’s all the info so far about the event. Now an overview on the Geforce 900 Series. The 900 Series was actually speculated upon when we first published the existence of the mobility GPUs under the 9xx nomenclature. Recently the final leak came through that set everything in stone: Nvidia has decided to skip the 800 Series for reasons unkown and use the Geforce 900 Series Nomenclature instead. I have this really insane theory that maybe Green has 20nm GPUs and it decided to skip 800 because it was so associated with 28nm. However, if we stick to what the actual leaks state so far the flagships will contain the GM204 GPU on the 28nm process. They will be called GTX 980 and GTX 970. Previous rumors put the Geforce GTX 980 at the $499 Price Point and the Geforce GTX 970 at the $399 price point. Though this seems to defy Nvidia-logic in my opinion, I will keep my peace on this for the time being. Finally, make sure to tune in on the Game 24 Live Stream (or our live blog if we get the opportunity to cover it) to witness the launch of one of the most awaited architectures of all time.